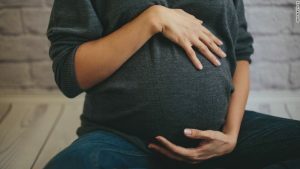 While many people are familiar with women freezing their eggs to extend or preserve their reproductive abilities, a new fertility method could soon offer a new option. CNN reports that Danish researchers have created an artificial ovary that may preserve fertility for young cancer patients. Ovaries produce eggs, and some cancer treatments damage the ovaries, which can lead to infertility. 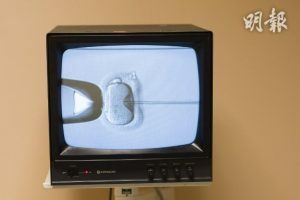 So these artificial ovaries could possibly help women treat their cancer without having the additional concern of losing the ability to have biological children. The American Cancer Society notes that both chemotherapy and radiation therapies can damage the ovaries. Currently, women have the options of freezing eggs, embryos, or pieces of their ovaries, or undergoing infertility treatment after cancer as a way to conceive. But a team at the Laboratory of Reproductive Biology at the University Hospital of Copenhagen Rigshospitalet have created yet another option. The researchers believed that they could bioengineer a “scaffold” of ovarian tissue that contains no cancer. Then, early-stage follicles could grow naturally into fully functional ovarian follicles on this scaffold. In the female body, ovarian follicles each contain one egg that matures during the menstrual cycle. 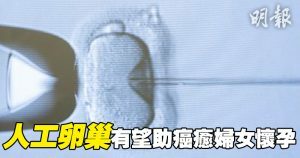 The scientists were able to make the follicles grow on the scaffold, which could allow a woman with damaged ovaries to have children. “This is the first time that isolated human follicles have survived in a decellularized human scaffold,” the authors of the study noted. There is still much work to be done before these artificial ovaries can be used. And both USA Today and CNN noted that other scientists not involved in the study have expressed their uncertainty about whether or not these experimental ovaries will be successful. But if they are, the artificial ovaries could help extend the fertility of young female cancer patients who don’t want to give up the hope of having biological children.